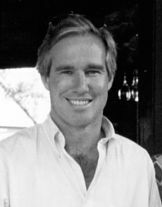 Robert Sheffey Preston III, died on Thanksgiving 2018 in Solvang of early onset Alzheimer’s. He was 65. Born in Richmond, VA, Bob spent over 35 years working as an investment manager, specializing in clean energy technologies. A true gentleman, we will miss his laugh and exuberant sense of play. He is survived by his wife, Sarah and his children, Hallie, Claire, and Robbie, whom he adored and three grandchildren. A celebration of Bob’s life will be held on Saturday, January 19, at All Saints Church in Pasadena, CA.